Building blocks don’t always have to be wooden or plastic. 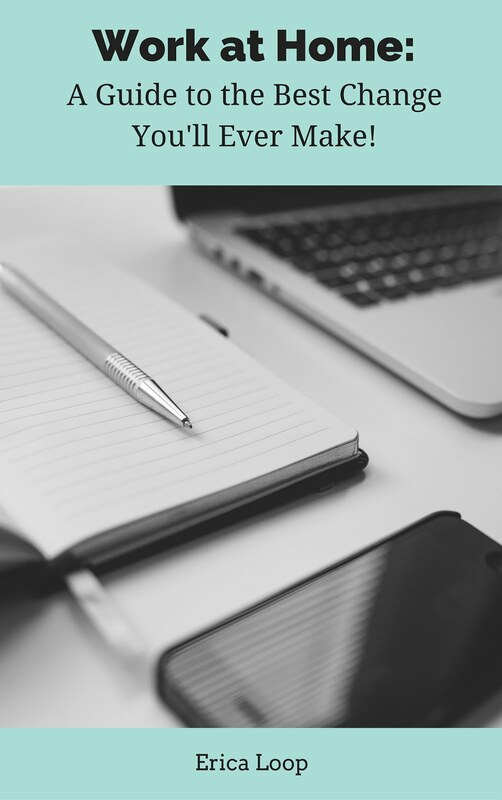 This STEAM activity proves just that! Last week we made geometric shape stampers out of kitchen sponges for paint printing (and color-mixing!). 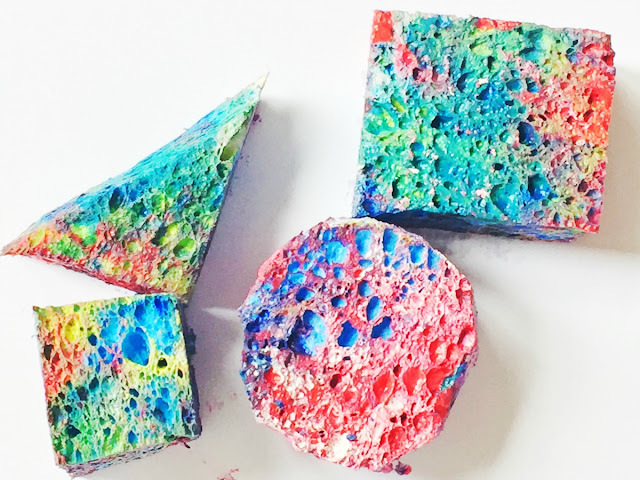 Instead of tossing the sponges out after the art activity was done, we’ll show you how your child can keep on using them. Okay, so the obvious continued use for the stampers is to reuse them. Stash them in a container and take them out to use next time your child wants to make some art. But, we’ll show you another way that your kiddo can play with them. How? This is where the building blocks come in. 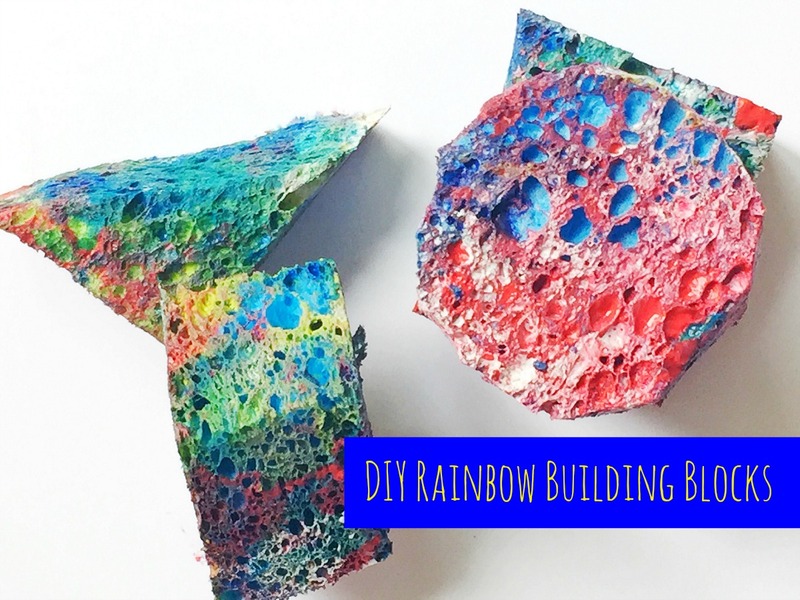 After the painting is done (and completely dry), your child can turn the sponges into rainbow-colored blocks. This activity isn’t just artsy, it helps your child to build fine motor and math skills. She’ll also have to use her critical thinking skills to balance the shapes and stack them – without everything falling down. Even though I just said that you should wait for the paint to dry, you can turn this activity into (very) messy play. Instead, start building with the paint still wet! Not only is this messy play, but it's a completely creative STEAM activity too. 2. Pour the paint into pools on the wax paper. The wax paper protects your work surface and acts as a palette (just less expensive). Try the primary colors (red, yellow and blue) and white. Your little artist can mix them into a rainbow of hues with the sponges. Coat the sponges completely. 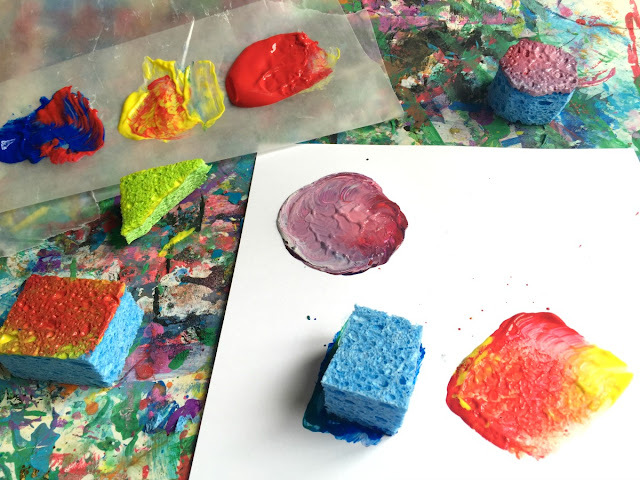 Your child can press the sponges down to make a few prints now too! 3. Let the paint dry. 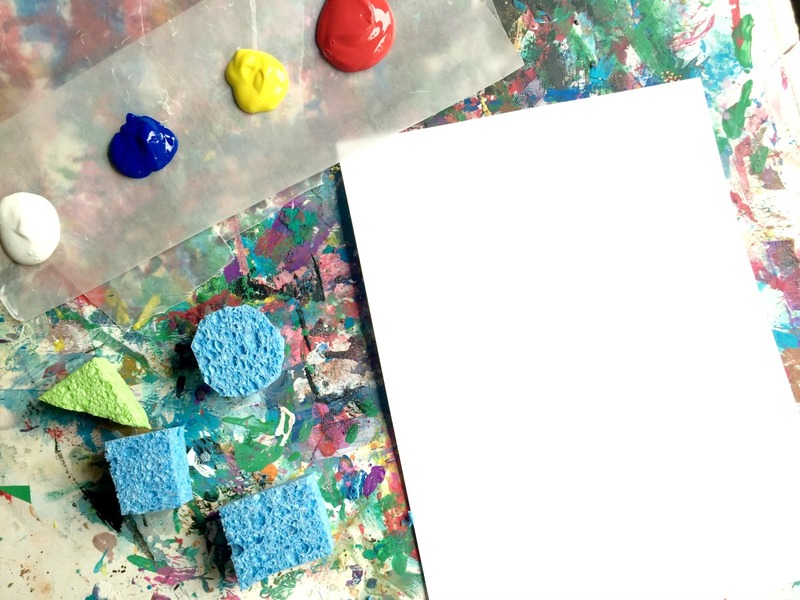 Or, don’t – if you want a messy art play activity! 4. Start stacking. Your child can build a tower, a wall or anything else she can think up. Add more sponge shapes to the mix to create an entire pretend play world. 5. 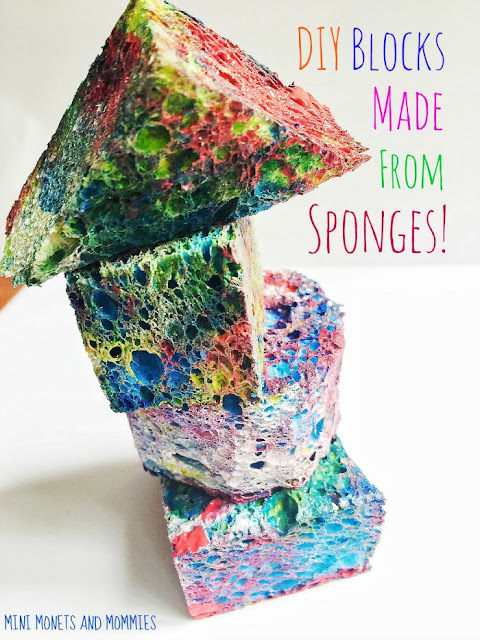 Take the sponges down and repeat – but, with different designs (in other words, encourage your child to build something different). Keep in mind, your child doesn’t necessary have to build upwards. She can keep the design flat, and put the sponges together in patterns or puzzle-style on a piece of cardboard too!